Bananas can do it. : NÄRCON COUNTDOWN: 1 WEEK! Since we are leaving in a week I planned to update our cosplay plans for Närcon! We are actually meeting our fellow cosplayer bro Hisi this Friday to lock up our plans so the cosplay plans might as well change! For what we are working on right now is Poke's Iron man costume (which she may will or will not get ready) and I'm supposed to cosplay as Black widow but since I'm working I really don't have time to do that costume!We'll see! The costume should be finished by Friday/Saturday when a convention called Finncon is held here in Tampere! 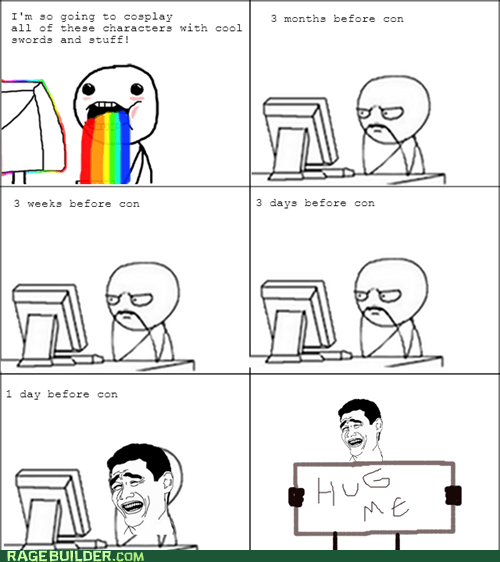 I don't know If we really like that con or not but it can't be that bad!! P.S I'm taking my videocamera with me to Närcon so some epic videomaterial might be on it's way!! !